Black - 9.5mm dia. Blue - 10.5mm dia. Red - 11.5mm dia. Gold - 12.5mm dia. 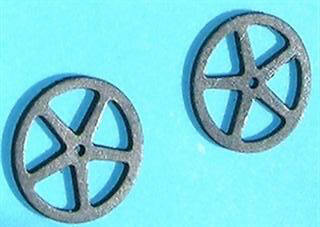 SCD hubs for other tyres. Please enquire. 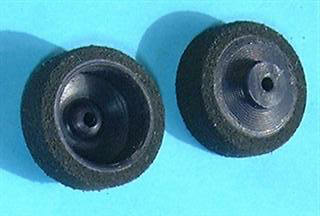 SCD Bossless hubs for MRRC tyres also available. 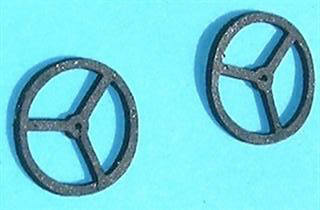 Same price as for bossed hubs. 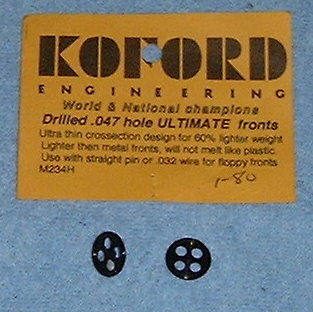 Parma 5/8" x 1/4" Scale fronts "GOODYEAR"